The Sebile Stick Shadd is a heavy duty jerkbait that comes in Floating, Suspending, and Sinking versions in a variety of sizes. Personally I have primarily used the sinking models. It casts extremely well and is a good choice when it is windy. It does not have a very tight wobble action as it does not have a lip, but it has a keel down the center of it that causes it to dart erratically to the side when jerked or pulled. I usually fish it with snaps of the rod tip followed by pauses. Strikes usually come during the pause. The treble hooks and split rings provided are high quality, but I like to replace the trebles with single hooks because they tend to pull out less often. Strong single hooks tend to be harder to bend than trebles. I have primarily used these in tropical reef areas. 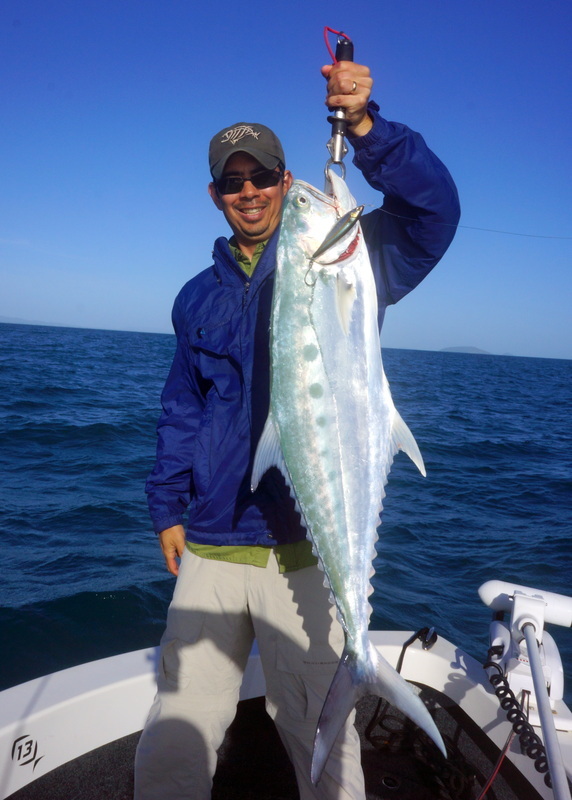 A wide variety of reef fish can be caught on these, including Bluefin Trevally, Snappers, Groupers, Great Barracuda, etc.. I haven't had much luck with them on freshwater species but I haven't put in a lot of time with these in that context. I'm sure there are situations where they work. Sebile is a very innovative company in general and these come in some pretty interesting colors. I like the clear ones with glitter suspended in liquid inside. They also make ones with red food coloring inside. This can simulate the appearance of lost scales and blood. Pretty neat. Regular black with silver has worked well for me also.